I really enjoyed how you framed this picture. I was there just two weeks ago. Wonderful memories! Thank you. 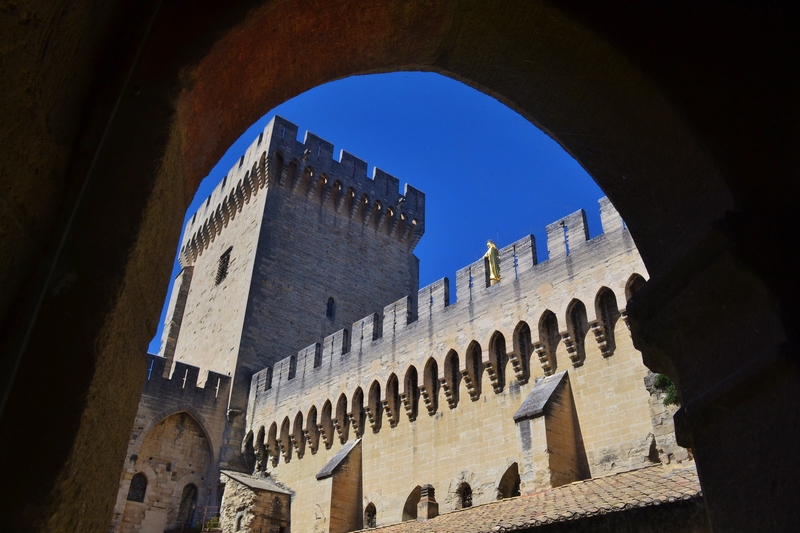 We enjoyed Avignon too. The palace was so large and lavish–well beyond what we’d anticipated. so happy to see pictures from places I’ve been. This palace is amazing and big!!! It is a beautiful place. Thanks for stopping by! Lovely photo taken from such an interesting angle!